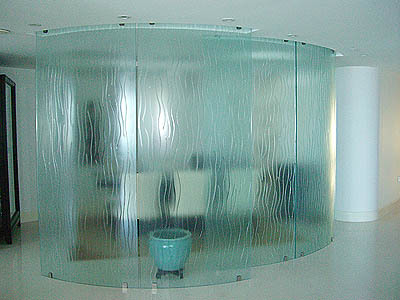 Custom made room divider. 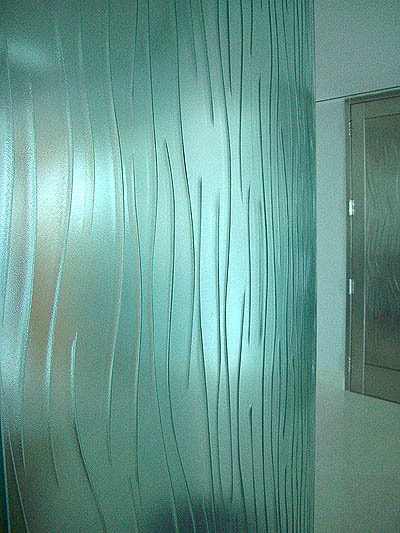 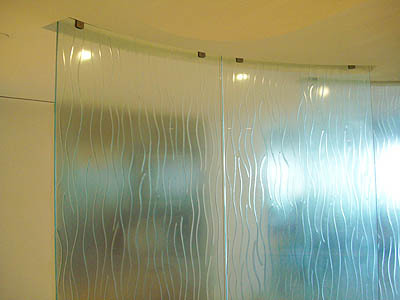 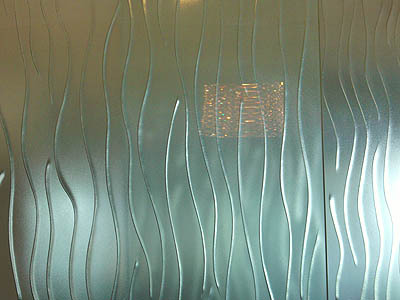 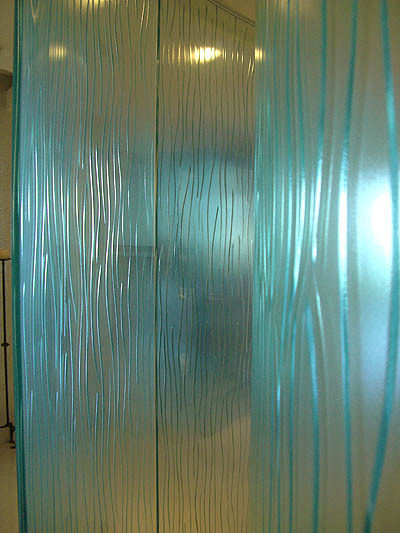 Bent glass with hand made texture to match apartment’s doors. 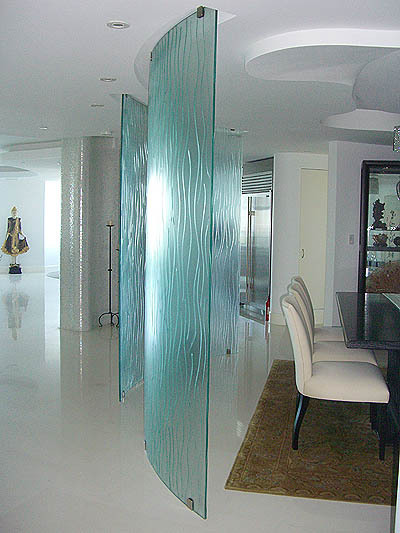 Aventura, FL.